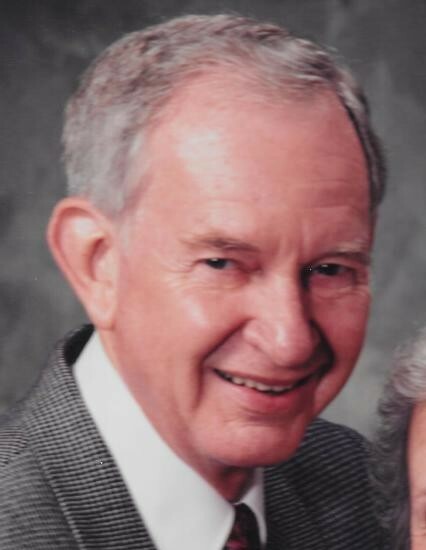 Obituary for Paul E. Dailey | Kaniewski Funeral Homes, Inc.
Paul E. Dailey, 97, of New Carlisle, Indiana, passed away at 12:58 p.m. on Tuesday, February 12, 2019, at Memorial Hospital. Paul was born on February 13, 1921, in Peru, Indiana, to Charles "Marvin" and Effie (Orpurt) Dailey and had lived in the New Carlisle area since 2002, coming from Salem, Illinois. Paul had worked as a graphic artist at Manchester College and at the General Offices of the Church of the Brethren in Elgin, Illinois. On November 10, 1943, Paul married the love of his life, Miriam Landis, who preceded him in death on July 12, 2016. He was also preceded in death by his grandson, Christopher Troyer, on December 8, 2002, and his sister Doris Huston. Paul is survived by one son, Steve (Trish) Dailey of Fort Wayne, Indiana; three daughters, Cheryl (Henry) Stolle of Salem, Illinois, Kathryn (Michael) Troyer-Clugston of South Bend, Indiana, and Janice (Larry) Mitchell of La Porte, Indiana; six grandchildren, Bryon (Vickie) Stolle, Barry (Kim) Stolle, Nicholas (Laurel) Dailey, Andrea Dailey, Daniel (Katie) Malott, and Andrew Malott; ten great-grandchildren, Blaine, Averie, Elliot, and Kate Stolle; Olivia Stolle; Tanner Dailey; and Elizabeth, Lauren, Aidan, and Claire Malott; and by his sister, Mary Kietzman of Peru, Indiana. Funeral services will be held at 12:00 noon EST on Saturday, February 23, 2019, at Kaniewski Funeral Home, 201 S. Filbert Street, New Carlisle, Indiana. Burial will follow in Hamilton Cemetery. Visitation will be held from 10:00 a.m. to 12:00 noon EST on Saturday in the funeral home. Paul loved to read and garden. He studied art at the Art Institute of Chicago. Paul was a dedicated volunteer at Hamilton Communities. Memorial contributions may be directed to Hamilton Church. To send online condolences, please visit kaniewski.com.